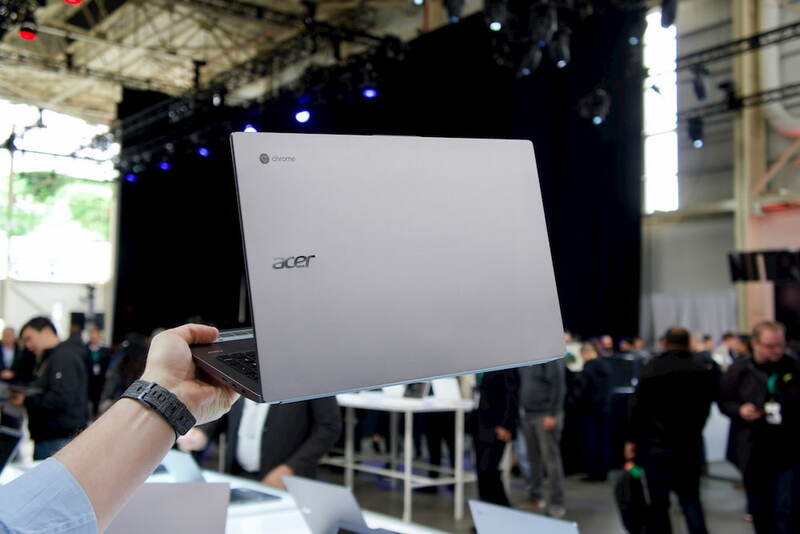 As we expected, Acer brought along some new Chrome devices to the Next@Acer event here in Brooklyn, NY. We’ll be getting some hands-on shortly and will bring you video coverage of our initial impressions but in the meantime, here’s a closer look at Acer’s Enterprise-focused Chromebook 714 and 715. 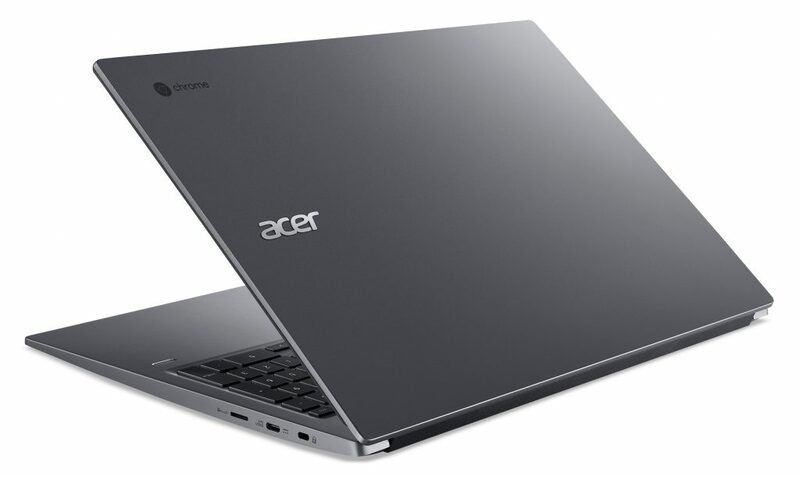 Acer’s latest models build on the “for Work” platform by offering the latest 8th generation Intel processors in a premium chassis while adding some new features not found in its predecessors. 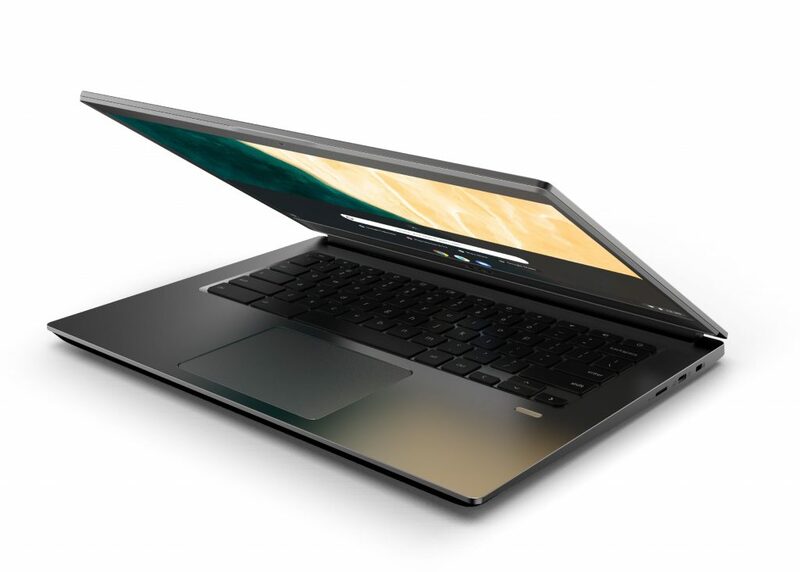 On the inside, both models will offer up the same choices that range from Pentium to Core i5 and up to 16GB of RAM. Here’s the breakdown of the 714 and 715’s internal options. Apart from the Pixel Slate, these are the first devices to the market with a fingerprint sensor. 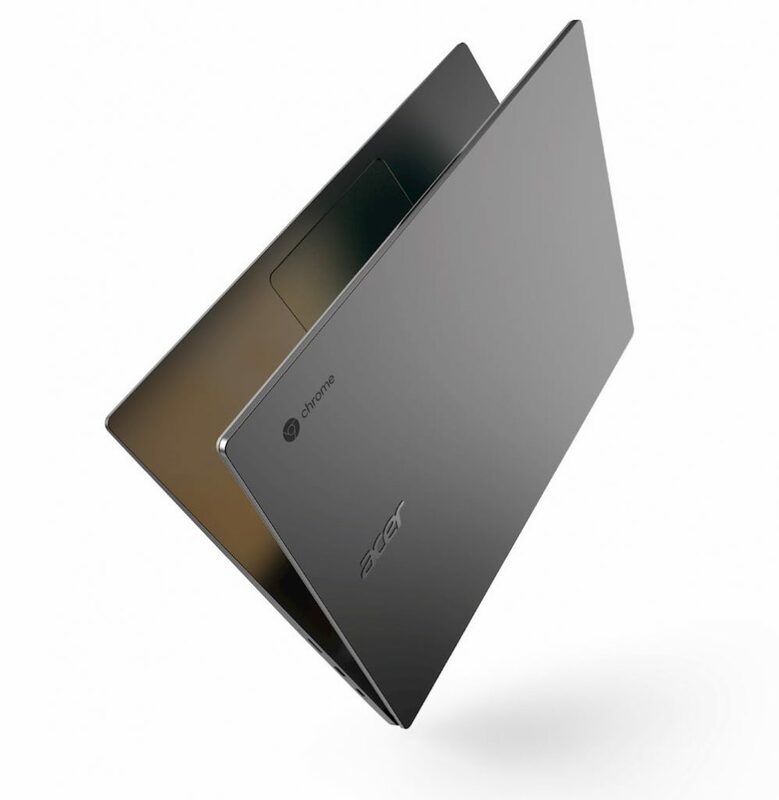 With a focus on enterprise security, the addition will add great appeal to Acer’s business-centric Chromebook lineup. The Chromebook 715 also brings with it a first form Chrome OS. As we reported last month, two new devices in the works were being outfitted with fingerprint sensors but one would also be sporting a numeric keypad. 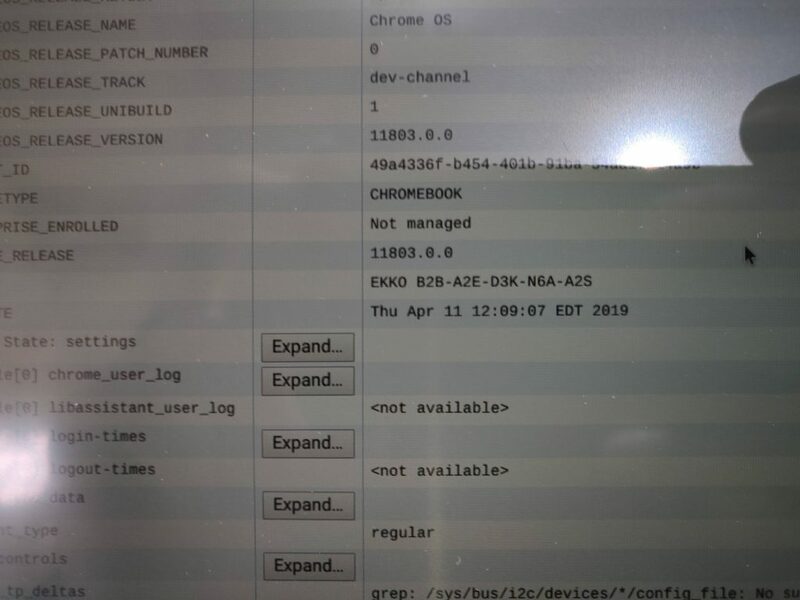 As I speculated, those devices were the Acer Chromebooks announced today and the 15.6″ model is the first Chrome device equipped with this productivity-focused feature. For number crunchers and data entry folks, this will be a huge addition to the Chrome OS ecosystem that will help in the adoption of Chromebooks into the business market. 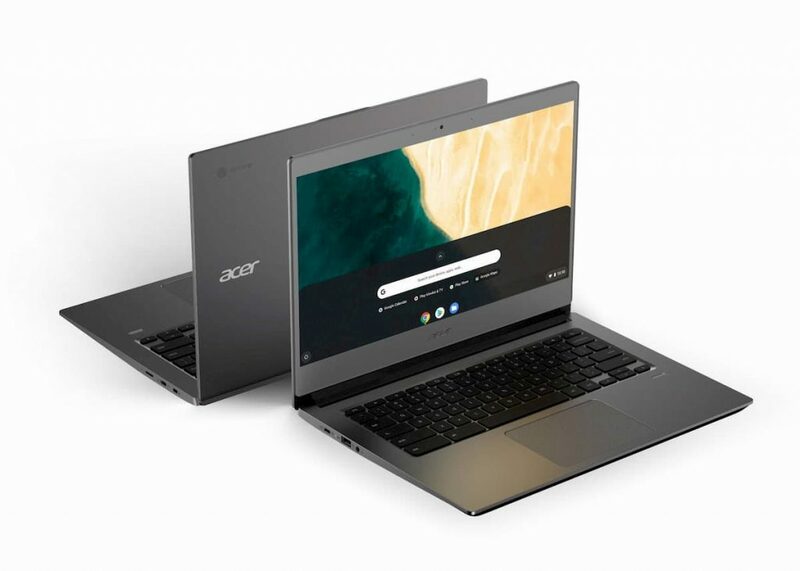 Both devices take a lot of cues from the Acer Chromebook 13 as well as the more recent Chromebook 514 and have a very premium look and feel. Just a few minutes on the floor and I can tell you the keyboards and trackpads seem to improve on the already impressive inputs on my Spin 13 and that’s a great thing. Both Chromebooks will start at $499 and come with a base 8GB of RAM. They are currently slated for release in July but don’t hold your breath on getting one that soon. These will likely make their way through enterprise channels weeks before the general public will be able to buy them. Stay tuned as we bring you a closer look at these two devices directly from the floor here at Next@Acer.